Published: Dec. 10, 2012 at 05:20 a.m. 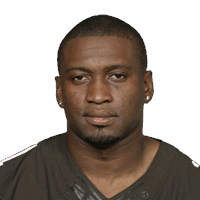 Published: Dec. 9, 2012 at 03:02 p.m.
Brady Quinn's pass is tipped into the hands of Cleveland Browns rookie defensive back Tashaun Gipson for a return of 23 yards. (9:38) (No Huddle, Shotgun) C.Palmer pass deep left intended for J.Criner INTERCEPTED by S.Brown at CLV 6. S.Brown to CLV 6 for no gain (J.Criner). Published: Nov. 26, 2012 at 05:22 a.m.
(7:10) (Shotgun) C.Batch pass short right intended for P.Burress INTERCEPTED by S.Brown at PIT 32. S.Brown ran ob at PIT 31 for 1 yard.